It’s never been more important to be able to get work done and collaborate with others from anywhere—be it participating in an important meeting while traveling or sending a quick message during a coffee run. 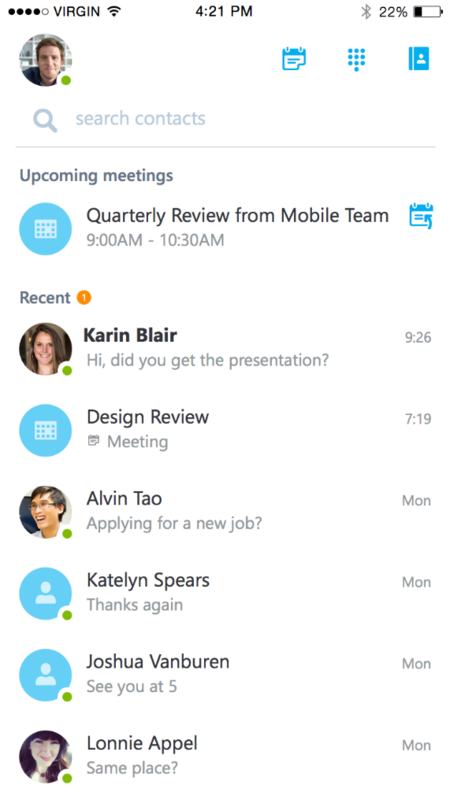 We’ve been working hard to ensure Skype for Business can make you productive on any device. Since we announced the Skype for Business for iOS preview, we’ve received great response, and today we are excited to announce that the new Skype for Business app for iOS devices is now publicly available. Along with the following features, the new app also resolves the sign-in issues that some of you experienced with Lync 2013 on iOS 9. An updated dashboard brings the contact search bar, your upcoming meetings and most-recent conversations to one place. The contact search bar allows you to search your Global Address List by first name, last name, email alias or phone number. Your recent conversations are at your fingertips, no matter which device you had the conversation on. You can also easily glance at your upcoming appointments—simply tap on the left for the meeting details or on the icon on the right to join immediately. 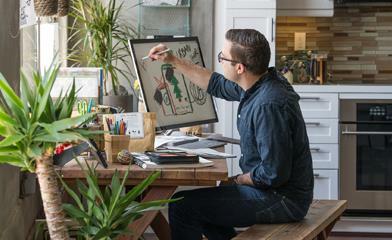 Full-screen video makes for a more immersive meeting experience. Larger buttons to mute and the ability to add participants and manage your call make it a lot easier to meet while you are on the move. Simultaneous viewing of the content being shared and speaker’s video means that you never miss a moment. Watch for the ability to view PowerPoint slides in a meeting in a future update. In the meantime, you can view a PowerPoint presentation via desktop sharing. Office 365 customers can now take advantage of Active Directory Authentication Library (ADAL)-based authentication. This enables your IT admin to configure multi-factor authentication for the Skype for Business iOS app, increasing the security beyond just a user name and password. With multi-factor authentication, users are required to acknowledge a phone call, text message or an app notification on their device after correctly entering their user name and password. Other Office applications also support ADAL-based authentication, which allows for consistent authentication across your organization. Learn more about setting up multi-factor authentication using ADAL. 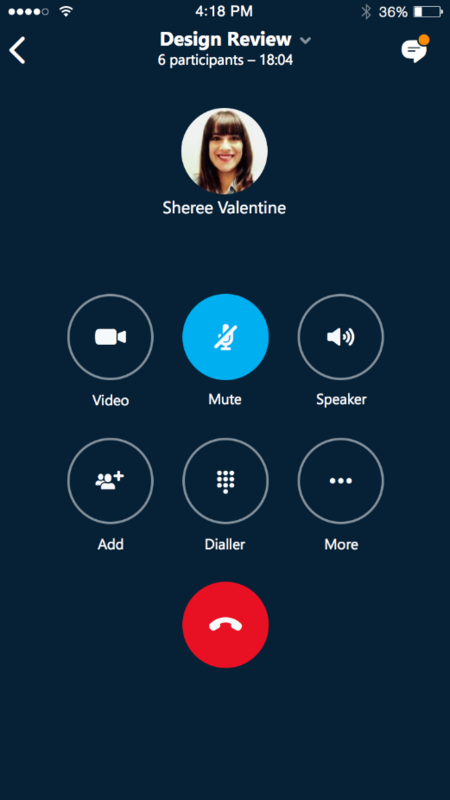 The new Skype for Business iOS app is now available as a Universal app in the iTunes Store. iPhone users with Lync 2013 will automatically get updated to the Skype for Business app. iPad users with Lync 2013 need to download the new Universal app from the iTunes Store. If you are an IT admin, use the Skype for Business iOS productivity guide to learn more and prepare your users. We are iterating rapidly to enrich the feature set on iOS and bring them to you as quickly as we can. Later this year, we will also make Skype for Business app for Android publicly available. Join the Skype for Business IT Pro Yammer community to subscribe to the upcoming product updates, interactive Skype broadcast sessions with the product team, and learn from the community. We look forward to hearing what’s on the top of your mind. Start using the new app today to stay connected and productive while on the go!